Since man first began walking on two feet, migration from one area to another has been part of the experience. Over time, humans developed methods of navigation using landmarks and physical characteristics to guide them, such as constellations or mountain tops. We use similar principles today to find our way. As an environmental graphic design firm, Thinking Caps Design crafts tools for wayfinding in built or spatial environments. 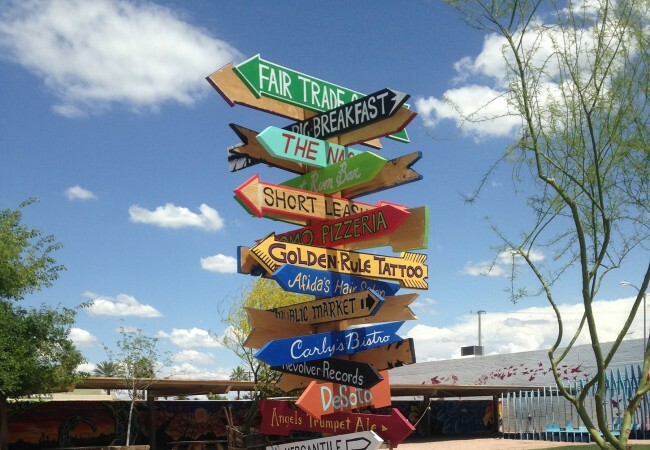 Wayfinding is most often associated with signage but the discipline’s true span is much broader. In the context of architecture, wayfinding is the user experience of interpreting the built environment by way of its landmarks and selecting routes to navigate between destinations. Start early: Wayfinding factors should be considered as early as the planning and pre-construction stages of a project. This up-front approach results in fewer wayfinding elements and less cost. Design for the user: Wayfinding is an active process requiring mental engagement. The best signage is in the right place at the right time, considers the viewer and avoids being overly-repetitive or demanding. Provide a variety of navigation options: Well-defined pathways and other visual cues and landmarks all aid wayfinding as do printed maps and digital media. Let users know where they are: Proper orientation is a must for visitors to get to where they are going. Maps should be oriented in the direction the viewer is facing for better comprehension and include a graphic indicating where the viewer’s location is on the map. Keep it simple: Messages should be concise and easily understood so potential interpretation is unnecessary. Minimize the volume of signs to reduce clutter. Be consistent: The messages, graphical navigation and locations of various signs should relate to one another in a consistent, cohesive network of information. Wayfinding signage either adds quality to the built environment or it diminishes the experience by distracting visitors. Good design embraces color, compatible materials, and good typography that is easy to read and has character to reinforce the architectural presence of a place. Contact Thinking Caps Design if you are in need of a wayfinding consultation.